Plot – Unwittingly committed to a mental hospital, Sawyer Valentini (Foy) must find a way out of the facility while also facing the prospect of escaping her long term stalker/facility nurse David (Leonard). He said he was retiring, due to the fact he had had enough of Hollywood, but in what has ended up being one of the shortest retirements of all-time, it appears as though divisive director Steven Soderbergh is back to his best (worst?) with the experimental Unsane. Hot off the back of the modest hit and easy to like Logan Lucky, Soderbergh has gone full indie and back to his roots by delivering a feature film shot entirely with a mobile phone over just 10 days, using equipment readily available to any wannabe filmmaker showcasing that A – you can make a film and that B – he is awesome. It’s a neat showcase regardless of Soderbergh’s intentions and a great example of how filmmaking has become such an easily accessible art form with the increasing advancement of portable and affordable technology, yet outside of the gimmicky nature of Unsane’s development, the actual film at the core of this thriller isn’t very good, in fact, it’s downright bad. 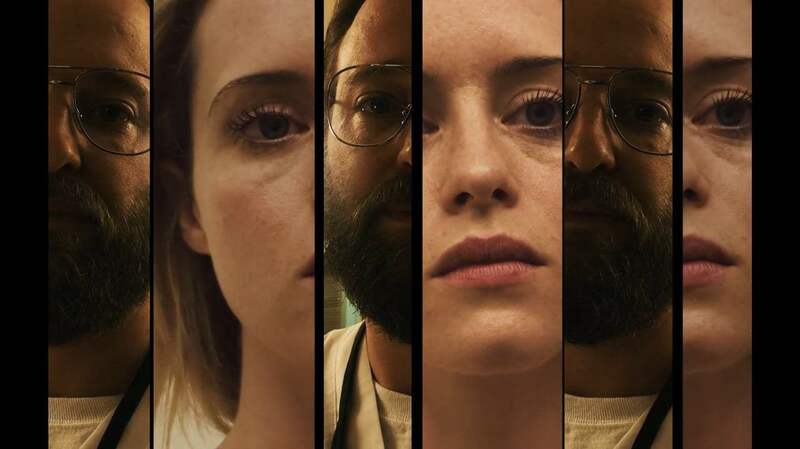 A high-concept narrative that see’s Claire Foy’s increasingly unhinged office worker Sawyer Valentini unwittingly committed to a mental facility only to find out that her one-time stalker is working there as a nurse, Unsane has an intriguing set-up but it’s both poorly executed and amateurishly delivered which is partly due to the way in which Unsane is shot but largely due to the fact this is one of those Soderbergh films that feels rushed and unpolished, a staple of the filmmakers career in and around his more championed pieces of work. Things within Unsane never feel in the slightest bit believable and character decisions and important plot advancements feel unearned and often completely random, making the film hard to get on board with, despite the best and valiant attempts of Foy. Breaking out with Netflix’s The Crown and certainly well on her way to becoming a household name (especially with roles in The Girl in the Spider’s Web and First Man), Foy is a shining light in an otherwise forgettable exercise and her willingness to get her hands dirty playing Sawyer is the best thing about Unsane outside of its behind the scenes construction. Soderbergh will always remain a director that hits the odd high mark, the frequent middle mark and the too frequent low mark, with Unsane being absolutely being one of these. A film that lacks any real thrills, twists or turns or an engaging core, Unsane is a forgettable and instantly disposable feature that’s only benefit is a gimmicky inception and committed turn from Foy. You’ve been warned haha. Look its a great gimmick, cool that a film can be made so cheap, but this is a very bad story, none of it makes sense at all. I didn’t think her character was amazing at all, but she was very committed to it. I don’t understand the hype surrounding this one at all. We’ve all seen this same kind of story sooooo many times before, done so much better, and without the most generic twist possible behind it. I found it all really unbelievable overall, like nothing within it made sense. I feel like Soderbergh gets away with a lot of bad films ha. I enjoyed this film much more than you have, but I did hate the weird cheap look of it. Doesn’t make much of a case for iPhone moviemaking. It did look very odd! The thing I disliked the most was the story, it just made zero sense. I’m not sure I’ve ever liked a Soderbergh movie before, so will swerve this one like the plague – cheers! Avoid at all costs. His new movie is out on Netflix this weekend as well so make sure you stay well clear of that to.